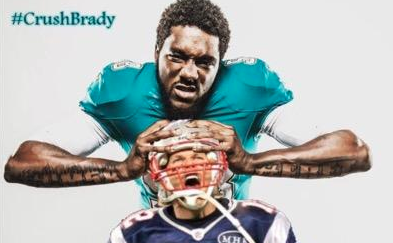 McCain’s Twitter avatar is a doctored picture of him squeezing Tom Brady’s head, with a message: #CrushBrady. The second-year linebacker only had five tackles last season, so he’s doing a lot of woofing that Ndamukong Suh and Cameron Wake will have to back up. McCain eventually fessed up to his avi being from last year, but the damage was done.